He helped push Team Liquid to another first-place finish. 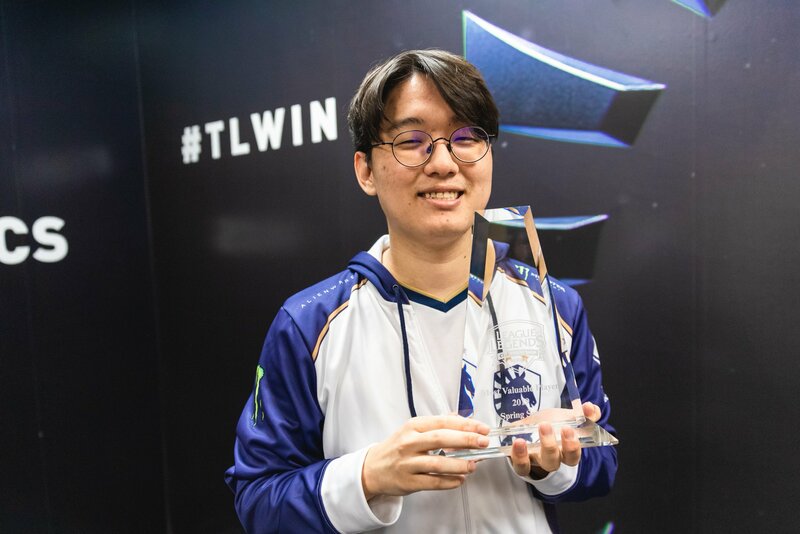 It’s been another impressive season for Team Liquid, who were the best team in North America for a majority of the 2019 Spring Split. At the core of their roster lies one of the biggest catalysts to their success, superstar support Jo “CoreJJ” Yong-in. As a result, he’s won the Most Valuable Player award for the spring. At the end of last year, Team Liquid announced that it was bolstering its roster with two huge 2018 free agency signings in star mid laner Nicolai Jensen and CoreJJ. This team, who was already a favorite to win the region, then became a shoo-in for another LCS championship. CoreJJ had amazing performances all split long. He leads all supports in kills, assists, KDA, kill participation percentage, while also having the least amount of deaths in the role. Whether it’s a game-winning engage or saving his partner in crime, Yiliang “Doublelift” Peng, he’s been a big reason why Liquid found themselves in first place this spring. CoreJJ now aims to solidify his legacy as one of the greatest supports to ever play by winning a title in another region. It’s a huge accomplishment for the 2017 world champion to win MVP honors since it’s his first season in North America. The support position is usually forgotten behind the flashy carry performances of the ADC and mid laner, but CoreJJ has been essential to the team in every matchup. The only thing that stands in his way is TSM, who he’ll face off against in the finals of the 2019 LCS Spring Split. The two times these teams faced off against each other during the regular season, TSM were able to take them down. We’ll have to wait and see if he can help Team Liquid get revenge today. You can watch all the action on Riot Games’ Twitch channel.